Hola! My name is Angelique Shah and I am a beginner quilter. My first few quilts come out crooked, with missed stitches and seams that never seemed to line up, what I like to call, imperfectly perfect. However the more I quilt, the improvement is evident. I love the creative process, it’s magic for me. I’m so glad I’ve taken up this new skill, it has allowed me to get my Mojo back. I’ve always been a sewer, designer, and all around creative person. I paint, sew, upholster, knit, crochet, make jewelry, dog clothes, you name it, I’ve tried it. But since I took a quilting class in the fall of 2016, from my local quilt shop Among Friends, I have been smitten. I have so many ideas for color combinations, designs, layouts, I want to try them all. Where do I start? How do I make time for all the fun quilts I want to make? 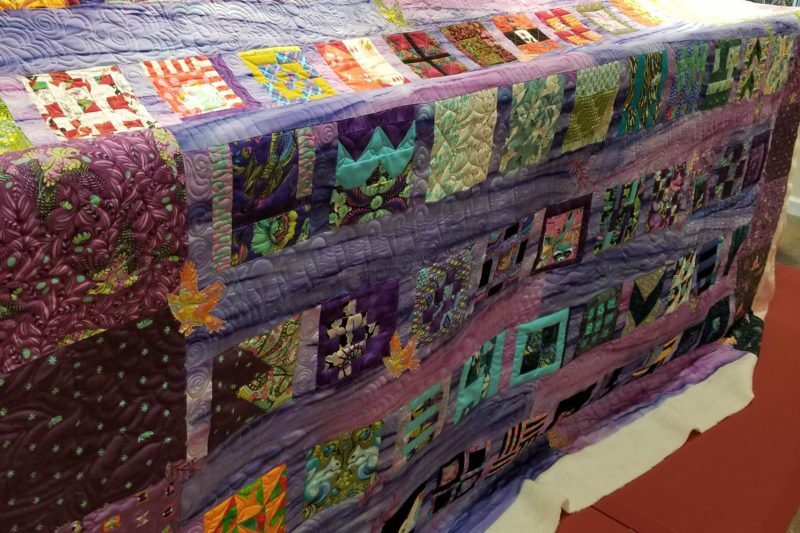 This blog MOJO Quilts is my journey to learn and continue to develop as a quilter. I’m very excited to develop my craft. My goal is to get better at piecing, free motion quilting, and learning new skills. 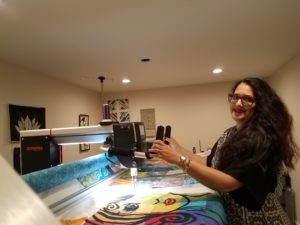 I was fortunate enough to purchase a Bernina Q20 machine and now hope to help other creative people finish their quilts. In July of 2017, I took on additional duties at the President of our Louisville Modern Quilt Guild. Follow us on Facebook to watch our demos and get patterns for fun projects. I’ve also become a member of the Louisville Nimble Thimbles. Stay tuned for more creative magic coming your way.